YOU GET WHAT YOU PAY FOR! Don't get fooled by cheap imitations or low quality brushes! SHINY HAIR is at your grasp with the every day use of the detangler brush and its benefic effects on your hair and scalp. BRISTLY, CRINKLY, FRIZZY, THICK OR THIN HAIR - The styling brush is designed for salons where they work with any type of hair and in any condition. DRY AND WET HAIR is no problem for this styling brush. The cushion and pins are specially aligned to use successfully in any condition. GREAT COMFORT FOR SCALP thanks to the cushion that allows the nylon pins to glide through the natural flow of your hair. A SALON HAIR BRUSH that you can have at home and benefit from the highest quality and design without spending a fortune in the process. NO MORE HAIR LOSS OR BROKEN HAIR by rearraning the split ends and removing dead hair, thus having a regenerating role on your hair. 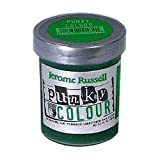 KIDS WILL LOVE IT as they will not have to bear the pains of a comb pulling on their hair and damaging it. This brush is like magic to them. No more painful mornings while brushing! 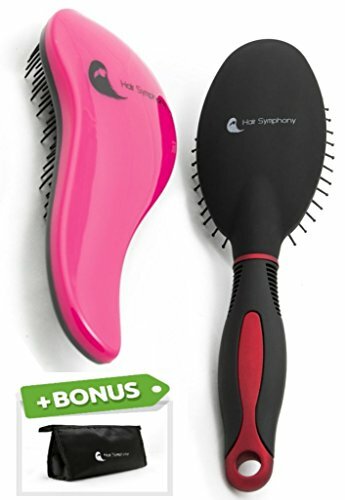 The pink detangling brush will flow through your hair while the black styling brush will do wonders while blow drying! The 2 hairbrushes you receive are loved and appreciated by women, kids and teenagers. You get a salon quality styling brush, the innovative detangling brush and the travel cosmetics bag! Click the Add To Cart button NOW and you will receive a THE BEST HAIR BRUSH SET AVAILABLE!